August 8, 2017 - No Comments! When former Memphis Grizzlies guard Mario Chalmers announced he would be returning to Memphis, the message came via Instagram. A photo donning a Grizz uniform with the simple message "GNG....enough said...... ." Grizznation got the picture and responded with 10,400 likes and 454 congratulatory comments. With 600 million unique monthly users, Instagram is the fastest growing social media platform. It may not be the right platform for every business, but if you're looking for engagement, it can be a win/win. But what does it take to garner all those red hearts and comments complete with fist bump and hi-five emojis? 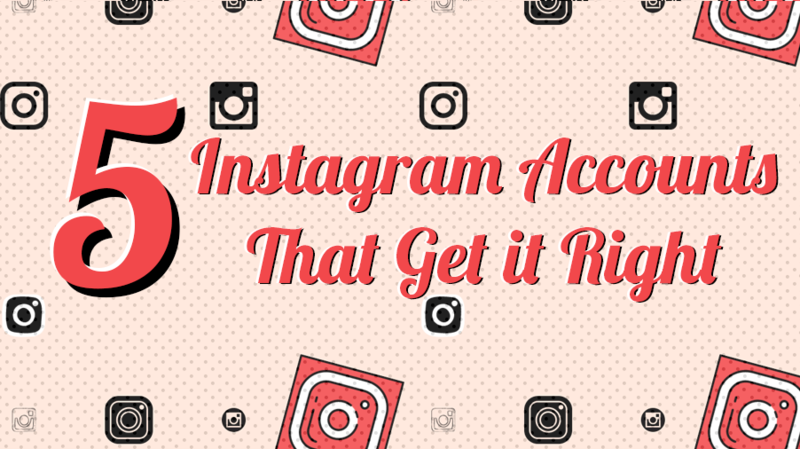 Let's check out a few who #gram #likeaboss. @nike Their sneaker game is strong but you'll find more than a page full of shoes on this Insta account. They take a more inspirational approach showcasing carefully curated videos of athletes basking in success. Think LeBron taking the title or Federer's record-breaking Wimbledon win, backed by a catchy White Stripes tune. Occassionally Nike throws in the release of of a newly designed running shoe or sports bra. Posting relevant content results in triumphant victories. With the signature tagline "Just do it," they are representing their brand with perfection. @henribendel When your purse matches your Rose´. Sheer satisfaction for a #bendelgirl. Henri Bendel interacts with their community, posing questions and responding to comments. Using 'enter to win' call to action campaigns to excite followers. Never missing a National Ice Cream Day, the fashion house posted an image of a chocolate ice cream cone from Godiva held by a wrist dressed with stacks of Bendel bracelets. They know their audience and present their product so attractively, it leaves all their chic consumers feeling like there's no problem a shopping spree can't solve. @Target The "Xhiliration" of back-to-school shopping ringing any bells? Neat freaks and nerds alike rejoiced in response to the post "Planning Perfection" presenting colorful pens, paper clips and Post-its, all in symmetric rows like Little Boxes on a hillside, by Brit&Co. Target aspires you to subscribe to their mantra "Expect More, Pay Less" with cheerful imagery. @thehautepursuit Fashion blogger Vanessa Hong has put herself on the Insta runway with verified status. She landed a sought-after spot on the Harper's Bazaar list, The 22 Fashion Blogger Instagrams to Follow Now. She once apologized for a slight glitch in content – blaming it on a digital and juice cleanse she touted would give you that "refresh u crave" – by appearing in a silver sequin gown doing a backbend on the beach. Because, why not? The Instagram algorithm is something of amazement. They do their part to suit the user's fancy. It's up to you to provide the quality content. Stay true to your voice, promote your brand, provide relevant content and fascinate followers with your charming personality and visual allure. Share with us some of your favorite feeds below. Social media may be aging, but it knows how to stay hip. That’s because new and innovative social media channels consistently pop up to fill needs we didn’t even know we had. And more than that, the capabilities and uses of these social media channels are constantly evolving. Commercially speaking, that last sentence is a big point. Social media in general is becoming more and more important for businesses, both big and small. While many business leaders are taking advantage of the power social media can offer to their bottom line, many ignore it. Business leaders typically approach social media in 3 distinct ways. If you already embrace social media to meet your business objectives, then congrats, you win. You can stop reading this article and jump over here to learn more about Facebook advertising. (hyperlink to our blog post about Facebook advertising). If you fall into one of the other two categories, then we’re here to help. We’ve heard all of the reasons why you won’t invest the time and effort into social media, but we aren’t giving up on you yet. That’s fine. Again, social media is new. Maybe you didn’t grow up with it or you just haven’t spent the time and energy to understand it (probably because you don’t want to). But that doesn’t mean you don’t need it. The thing is, you don’t have to spend time and energy to master social media if it’s not something you want to do. There are plenty of people out there who eat and breathe social media and are ready to help. You just need to be willing to invest the resources. Hire a coordinator. Hire an agency. Do something. In 2015, brands spent $187 billion on advertising. TV made up the biggest share of this ad spend, at 42%, or $79 billion. If companies are willing to spend that much money on TV, why not invest in social media? An effective investment is pennies compared to TV. That’s not to say social media rules all. It shouldn’t replace all other advertising channels. But it does a great job of complementing them. Integrating your campaigns with social media is a great way to ensure you’re effectively reaching your audience by creating frequency and more impressions. But most importantly, you’re creating engagement and conversations around your brand. 64% of Twitter users and 51% of Facebook users say they’re more likely to buy products of brands they follow online. That means if you’re not on these channels, these customers are going to your competitors who ARE. 84% of CEOs and VPs confess to using social media to help make their own purchasing decisions. If that’s true, then why do you think social media isn’t right for YOUR brand? Not only can advertising effectively on social media impact your bottom line, it can also digitally impact other marketing areas that you use to impact your bottom line. Is it important for your website to rank well on Google search engines? For most companies, yes it is. And if so, then you need to really think about your Facebook strategy and creating compelling and engaging content. That’s because shares on Facebook have a large influence on Google search rankings due to Google’s preference for backlinks. Every audience is on social media. It’s just a matter of which social media channel is most effective at reaching your target audience. 72% of all adult Internet users are on Facebook. And over 84% of the US population are Internet users. So chances are, your target audience is at the very least active on Facebook. This makes Facebook a smart channel to start your campaign, especially since 56% of users check Facebook DAILY. 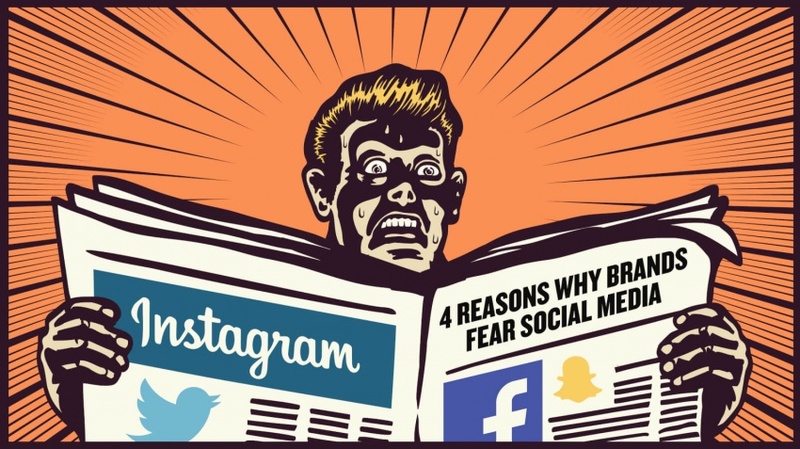 But there are other social media platforms you may want to use depending on your audience. Are you trying to reach the coveted millennial generation? Well, 55% of adult Internet users ages 18-29 are on Instagram. There are 5 million images uploaded every day here. Shouldn’t yours be one of them? Are you targeting women in your campaign? Well, 44% of women Internet users are on Pinterest, so get to pinning because the average user spends 89 minutes a month here. What about college-educated professionals? 46% of adult Internet users with a college education are on LinkedIn. It’s time to up your game here because it’s where the average user spends 21 minutes a week. 53% of consumers recommend companies and products on Twitter. 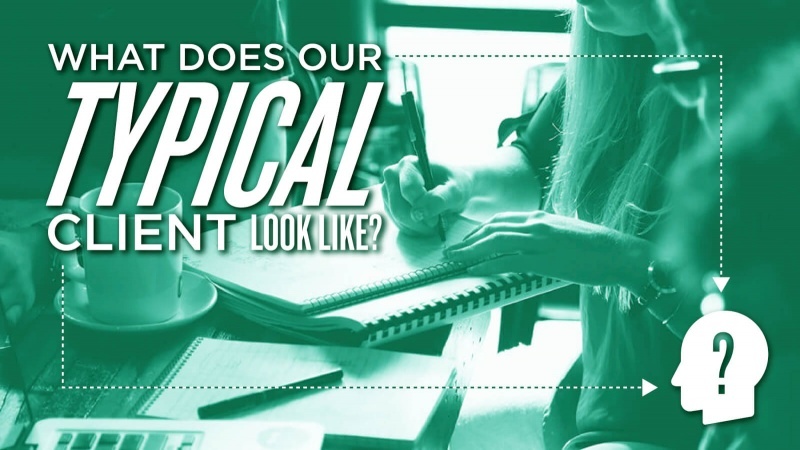 Don’t you want to be in a position to engage in these conversations about your brand? You can measure success, it just depends on your objectives. Perhaps you want to measure success by the amount of conversions your campaign produces. Easy. Just place a tracking code from your ad campaign onto the confirmation page of your website, whether it be a confirmation page after a transaction or a new lead through a contact form (depending on your business objective). Then your data will show you that Campaign A resulted in (x) impressions and (x) conversions, giving you an (x) conversion rate. There’s your measurement for success! For reference, advertising on Facebook, Twitter and LinkedIn come with easy-to-use conversion tracking capability. Surely, other platforms will follow. Or maybe you want just wanted to raise awareness about your company or product. Then you’d use key performance indicators, like retweets, likes, comments, followers, page likes, link clicks, etc. (jargon depending on which social network the campaign is on, obviously). Though measuring social media campaign ROI may be muddy depending on your goals, it can be much more crystal clear than measuring your TV advertising ROI. And the investment needed for an effective social media campaign is a fraction compared to TV. Do You Love Social Media Yet? Social media is here and it’s not going anywhere. It’s becoming more and more a part of our everyday lifestyle, and brands are buying in. As a business leader, you know how important it is to track not only the consumer, but also the competition. And they’re both on social media. So the question isn’t whether or not you should be on social media. The question is what’s your strategy going to be to beat the competition and win those consumers? What Does Our Typical Client Look Like? Our clients come in all forms, from small start-up companies to international corporations. Whether you just need some marketing advice or a holistic multi-media advertising campaign, W&A has the advertising and marketing experience to help grow your business. Here are a few types of clients we serve. Maybe you're one of them. You have a killer idea for a product or service. You’ve done your homework and feel confident you have something worth pursuing. You just aren’t sure how to get things off the ground and need advice from a professional. W&A has 50 years of advertising experience in helping clients bring their dreams to life. You're pumped about taking your business to the next level. Awesome things are on the horizon. The world is your oyster! You can’t afford to guess which message and what type of media is the best way to grow your business. You need a pro. That's where we come in. Penny-pincher, bean-counter, tightwad… you’ve been called every name in the book. You want a Porsche for the cost of an old rusty pick-up. Heck, you might even drive an old, rusty pick-up. That’s ok. We appreciate where you’re coming from. We have five decades of adverting experience in helping clients squeeze their budgets like it’s their last dollar. If you only had 10 employees just like yourself. Smart, savvy, insightful… but you don’t. You do however have a slick looking logo, a solid website and a Facebook page with lots of likes. Sales are good, but now you're ready to push on to that next level. You just need some smart and talented people to make it happen. Even Einstein needed some help, right? W&A can help you get where you want to go. Judgment day is near… your advertising and marketing contract is expiring, so you’re opening a Request for Proposal for these services. You’d like an agency that drives results and can make your life easier. We know our way around an RFP and think it's time to give W&A a shot. When you're ready to talk, we are too. We’re getting deep into the 2016 NCAA Basketball Tournament and it’s getting HOT. And by hot, I mean there’s a good chance that you’ve already thrown your bracket into the dumpster and set it ablaze (I’m looking at you people who picked Michigan State to win it all – better luck next year). This is all fun, right? The sounds, emotions, upsets and celebrations. It may give us anxiety and high blood pressure (and mild depression when our teams lose). But it’s fun. 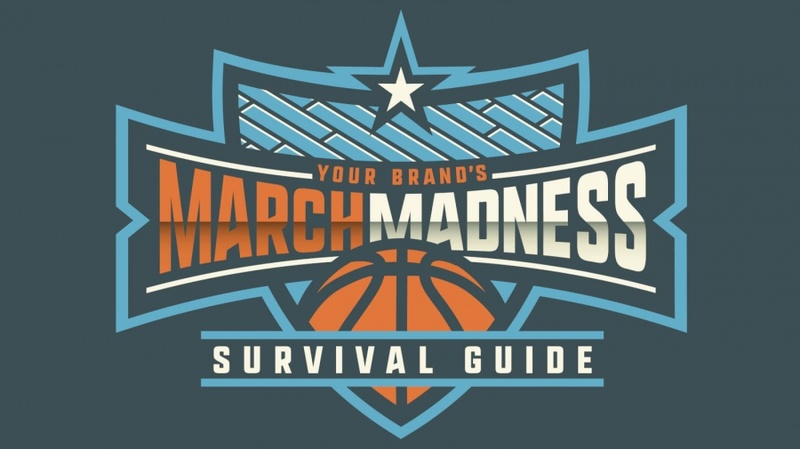 Lucky for us marketing and advertising professionals, there are some lessons we can learn amongst the excitement and turmoil that we call March Madness. Much like these teams are competing on the court, companies and brands are competing in the market place. They’re using strategy and execution to win their fair share of the pie. And our hope at Walker & Associates is that marketing and advertising is a key piece of that strategy. In fact, brands can attack their marketing and advertising the same way these teams attack their games. Success CAN be found if you have these 3 things. Not every college basketball program is playing on even ground. Some programs are drinking scotch while the others are drinking Evan Williams Black Label (figuratively speaking). Some schools just have better resources to throw at athletics. But that doesn’t mean they’re guaranteed victory. And it doesn’t automatically make them more effective at reaching their goals. Poor Cinderella had her moment and so can the Arkansas-Little Rock Trojans (major props if you picked that upset). What are your goals? How big is the audience you’re trying to reach? What’s the cost of your product or service? What’s your ideal return on investment? How you answer those questions can help you define your budget. And you just may realize there’s no need to break the bank. There’s not a one-size-fits-all budget. You need a budget that fits and accomplishes your goals. You need the RIGHT budget. After hours of studying the opponent, watching film and analyzing players, the coaching staff forms a gameplan of attack. If the process was done right, the gameplan should be effective. If steps were missed and important things weren’t spotted during the prep stage, then you better hope the other team has an off-game. Your brand’s marketing gameplan and how it’s approached is equally important. What’s the competition doing? Where are your opportunities? What are YOUR strengths? What are your opponent’s weaknesses? Where can you find your target audience? What are their interests and behaviors? What’s unique about your product or service? What’s the data say? When you answer those questions, you can then form your gameplan. People are important. And we have a great team at Walker & Associates. We know marketing and advertising because that’s what we do…for a living…every day. Not only do we have staff complete with different talents and experiences, but our client list is just as impressive. Our clients give us a wealth of knowledge and case studies to pull ideas and inspiration from. And our talent and depth of knowledge creates a recipe for success for our clients to enjoy. The right budget without the right gameplan will leave you with a frustrating return on investment. You were throwing money at the wrong tactics in the wrong places. The right gameplan without the right people will leave you wondering what went wrong. The plan was perfect, but you just didn’t have the right people in place to execute it properly. If you think you have the right gameplan but you don’t have the right budget to implement it, then you need to increase your budget or go back to the drawing board or you’ll end up falling short on your goals. All three of these things are vital, but to win the game, they all need to work in unity. That’s what our team ensures. Take your game to the next level. Let's talk. February 8, 2016 - No Comments! 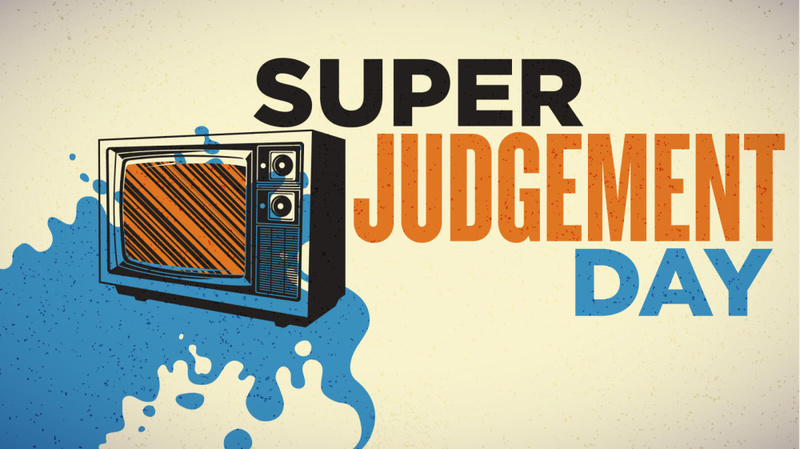 Commercials are our thing which makes Super Bowl Sunday our judgment day. Last night, we at Walker & Associates didn’t wait until timeouts and change of possessions to take our bathroom breaks, get our second and third helping of meatballs or grab our new icy cold beer. No, we did that during gameplay, so we wouldn’t miss any of the great, sub-par or “WUT WAS THAT” commercials. We may have been eating Tostitos in our nachos all night, but we were really fantasizing about you, Doritos. Congrats on simultaneously making all of the guys spit their non-flavored tortilla chips out in hysteria, while all of the women in the room cringed in pain. That’s what happened during the Doritos “ultrasound” commercial. And it was memorable and fantastic. Puppies. What more can you say? #MeetTheKetchups took the easy way out, but good for them because sometimes winning just IS that easy. Try recalling a Super Bowl commercial featuring a puppy (or a BUNCH of puppies) that wasn’t great. That’s right, you can’t because…PUPPIES! And these weren’t just any kind of pups. They were wiener dogs. Dressed as hot dogs. Running towards ketchup and mustard humans. Simple and genius. We were all just sitting there enjoying time with our family and friends when a narcissistic #PuppyMonkeyBaby arrived all over the TV screen repeatedly referring to itself in third person. We aren’t really sure what was going on here, but all I know is everyone in our office started their morning with coffee as usual, not Mountain Dew Kick Start. The Super Bowl always marks the launch of the year’s innovative, the bad and the ugly. But we were happy to see some moments of a more serious tone. This year, brands and organizations took the opportunity to use the nation’s undivided attention to push public service announcements about important and relevant issues. Two brands did it beautifully. Good job No More & Budweiser. We would love to hear what you think about our unofficial official critiques of this Super Sunday, but they aren’t subject to change. Marketing and advertising get more competitive with every new tool available, especially online. But that doesn’t mean they're getting harder. Advertisers just have to find the right tools to most-effectively reach their audience. Like Facebook advertising. Maybe you think of Facebook as a place to keep up with family events and share funny cat videos, but it’s more than that. You’ve seen ads pop up every now and then when scrolling down your news feed (or maybe you haven't noticed them because of the wonderful art of "native advertising!). That’s because 92% of social marketers are using Facebook for advertising. There’s a reason why businesses are paying 122% more per ad unit on Facebook than they did in 2014 – because it works. 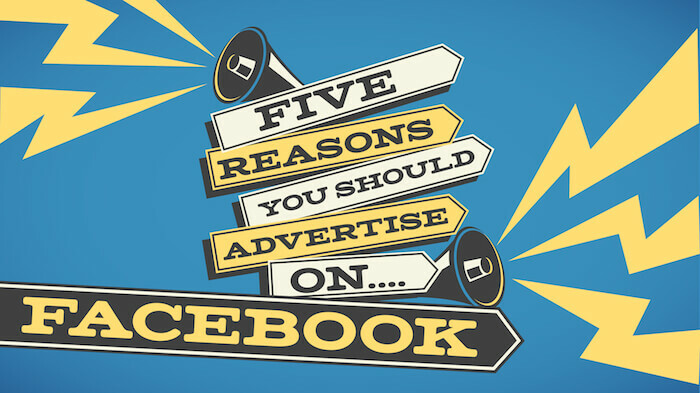 We love recommending Facebook advertising for our clients, and here are 5 reasons why. Businesses’ organic posts just aren’t getting the reach they used to with new Facebook updates and algorithms. In 2012, Facebook basically told businesses you’re going to have to pay to get a decent social reach. That’s when companies started to realize only about 15% of their page “fans” actually saw their content. To reach all of your fans plus some, there’s Facebook advertising. And it’s affordable! Compared to other forms of online advertising, Facebook advertising feels like stealing candy from a baby (which we don't endorse). You're on Facebook. Your friends are on Facebook. Your mom is on Facebook (and leaves embarrassing comments on your cool status updates). 71% of all Internet users are on Facebook. The odds are, the person you are trying to reach with your message is on Facebook. If that’s true, then why wouldn’t you invest in Facebook ads to make sure you reach that person? From location, gender and age all the way to interest, behavior and economic status, the targeting options on Facebook are unreal. Not only does this help your ads perform well, but it also goes back to Facebook ads being cost-effective. The more targeted your ads are to the person you are trying to reach with your message, the further your dollar spent reaches. You see it with news and politics – everyone has an opinion on Facebook. It’s the perfect platform for people to voice their thoughts on issues because it’s so easy to do so. That’s why it’s a great place to get feedback on your ads and services. When your ads are published on Facebook, they’re published like any normal post. And just like any normal post, users have the ability to like, comment or share those posts. So you better believe that if someone does or does not like your ad or service – more so the latter – they will comment on your ad to let you know. You will get the feedback you need. You may see this as either a blessing or a curse and it speaks to the importance of spending time not only posting on Facebook, but also monitoring your account. Facebook also has its own internal analytics reporting allowing you to analyze how your ads are performing. You can see how far your ads have reached, how many clicks and the cost-per-click. And you can even see a breakdown of precisely where those clicks are coming from – age, gender, location, etc. You can see which ads are converting to sales, and where exactly those conversions are coming from. This helps you spread your dollar further and get the most bang for your buck. Facebook advertising is great – maybe even a must - for any company. Your consumers are on Facebook, it’s just a matter of choosing the right creative, message and targeting options to put your brand in front of them in the most effective way. This is where experienced Facebook advertisers can help your business thrive. Are you interested in advertising on Facebook? Let's chat.